Read the story of each by clicking on each photo. 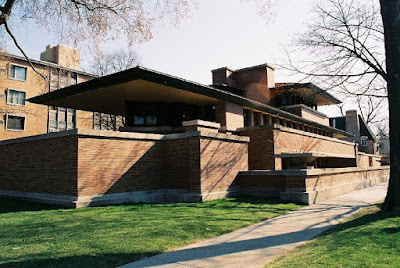 But after it is restored, Robie House should look better than any of us has ever seen it. Exterior restoration began in the spring of 2002, and was completed on schedule in July 2003. The first step was to stabilize the building by preventing further water infiltration and repairing termite-damaged areas. Major projects included repairs of damage caused by water penetration, installation of a historical clay tile roof, replastering of deteriorated soffits, extensive masonry repairs, replacement of damaged bricks and limestone, stabilization or rebuilding of balconies, and conservation of 22 art glass doors and windows. All internal electrical wiring was updated and new water service was introduced. 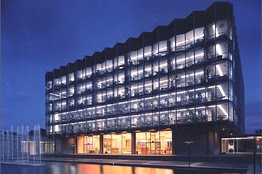 A climate management system, interlocking aspirating fire detection system, and a dry sprinkler system were installed. Reproduction iron gates have been installed in the garden and garage area…. While the exterior restoration has been completed, a significant amount of work remains to fully restore the Robie House to its historic appearance…. The interior of the home, after years of use as a dormitory and office building, needs to be restored to the original design. This includes recreating interior finishes and paint colors; conserving the original wood floors; and conserving 118 art glass windows and sashes. Missing building elements need to be restored, including custom fabricating 70 brass light fixtures; reconstructing built-in cabinets and buffets; replacing missing hardware; recreating bathroom fixtures; and procuring period pieces such as telephones, a stove and kitchen sink. Five custom-made carpets also need to be recreated. Finally, the exterior needs to be landscaped to emphasize the relationship Wright created between the building and nature. Three large elm trees must be planted to recreate the appearance of the site in 1910, and the built-in flower boxes planted to recreate the appearance of the exterior as portrayed in the famous Wasmuth Portfolio plate of 1910. That’ll change everything. Can’t wait. Robie House is expected to be fully reopened in 2010, in time for its 100th anniversary. 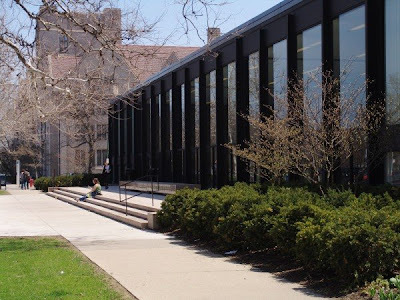 You are currently browsing the archives for the Robie House category.